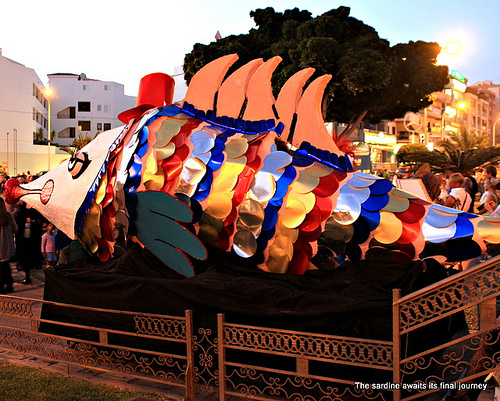 The Marbella Carnival includes fun and entertainment in four different areas of the city - Marbella center, San Pedro de Alcantara, Nueva Andalucia and Las Chapas. The "Carnaval de Marbella" is celebrated every year and is a festive occasion for the entire family. This is a time where everyone dresses up in costume and participates in a number of activities offered by the city. You may notice around this time of year costumes being sold in all the major supermarkets and smaller costume shops or flamenco stores. In this kids workshop, kids can make, with the help of monitors, costumes with various stationery elements, plus paper and rubber masks to celebrate the Marbella carnival. - Reading of the Infantile Proclamation by IKER LOBATO ROMERO. - Choice of Venus, Nymphs and God Momo Children of Carnival - Children's Animation Show - Bouncy castles and workshops. The Election will be carried out by lot, all children wishing to participate, with ages ranging from 5 to 12 years old, must complete their application in the Dam Park and deposit it in their corresponding box. 12.00 H. Children's Carnival Mask Workshop at the Cortijo Miraflores Museum. 13.00 H Chorizada de Carnaval, at the Cultural Association Carnavalesca Marbellí (C / José Iturbi), with the performance of different carnival groups. 6 pm Carnival of the Mayor in the Active Participation Center for the Elderly Encarna Cantero de Marbella. 11.00 H Children's Contest of Chirigotas de Marbella at the Teatro Ciudad de Marbella. Prize is a Kids Party for the winning school. 17.00 H. Carnival Mask Workshop at C / Magallanes (next to AVV Las Abarizas). 12.00 H. Children's Carnival Mask Workshop at Bello Horizonte, next to the Carlos Cabezas Sports Center. In this kids workshop, kids can make, with the help of monitors, costumes with various stationery elements, plus paper and rubber masks to celebrate the Marbella carnival. - Reading of the Carnival Proclamation 2018, by AGUSTÍN CASADO- Imposition of "The Golden Shield of Carnival 2018" to VICENTE LAGUNAS MOYA.- Presentation of the Venus, Nymphs , Misses and God Momo of Carnival 2018- Performance of Local Groups of Carnival.- Performance of the Comparsa de los Hermanos Carapapas "Los Ángeles de la Guarda"
Ticket sales.- Cultural Association Carnavalesca Marbellí (C / Jose Iturbi) and Ticket Office of the Theater (one hour before). Relive the best moments of the Pregón, through RTV MARBELLA, with a delayed program in the afternoon / evening. 11.00 H. Children's Carnival Mask Workshop in Parque de la Represa - Divina Pastora (next to Calzados Millán). In this kids workshop, kids can make, with the help of monitors, costumes with various stationery elements, plus paper and rubber masks to celebrate the Marbella carnival. Departure.- Plaza Santo Cristo, C / Ancha, Plza. Puente Ronda, C / Remedios, C / Virgen de los Dolores, C / Ortiz de Molinillo, Plza. General Chinchilla, Plza. Los Naranjos, C / Station, Plza. La Victoria, C / Pedraza, C / Fortaleza, Plza. Africa, C / Africa, Avda. Ramón y Cajal and ending Parque de la Alameda. During the tour the jury will choose the best Individual Costumes, Couples and Groups in Children's Category . Delivery of Prizes for Children's Costumes Contest. 5.30 pm Carnival of the Mayor at the Active Participation Center for Older People Plaza de Toros de Marbella. 9.00 pm Semifinal of the Carnival Group Contest at the Ciudad de Marbella Theater. Ticket sales.- Cultural Association Carnavalesca Marbellí (C / José Iturbi) and Theater Ticket Office (one hour before). 5.30 pm Carnival of the Mayor at the Active Participation Center for the Elderly Miraflores of Marbella. 5.00 PM Carnival of the Mayor at the Active Participation Center for the Elderly Santa Marta de Marbella. 17.00 H. Children's Carnival Mask Workshop located in Park located in C / Fernando VII. In this kids workshop, kids can make, with the help of monitors, costumes with various stationery elements, plus paper and rubber masks to celebrate the Marbella carnival. 17.00 H. Children's Carnival Mask Workshop located in Plaza de Toros Children's Park. In this kids workshop, kids can make, with the help of monitors, costumes with various stationery elements, plus paper and rubber masks to celebrate the Marbella carnival. 6.00 pm Carnival of the Mayor in the Active Participation Center for Older People Los Paisajes de Marbella. 9.00 pm Grand Final of the Carnival Group Contest at the Ciudad de Marbella Theater. Free makeup workshop in the Hall of the City Theater of Marbella, Do not miss out on your makeup at the End of Group Contest. 12.00 H. Children's Carnival Mask Workshop located in the Xarblanca Children's Park. In this kids workshop, kids can make, with the help of monitors, costumes with various stationery elements, plus paper and rubber masks to celebrate the Marbella carnival. During the tour the jury will choose the best float and best costumes in individual category, couples and Adult Category groups. To participate in the Carriage Contest, you must register, previously, through the Entry Registry. Entries to the Adult Costume Contest will be made one hour before the start of the Parade (Bonsai Museum area). Ages from 14 years. Awards ceremony at the Palace of Fairs and Congresses. For the benefit of the CONCORDIA Punto Association of Sale: Cultural Association Carnavalesca Marbelli and Palace ticket office. 12.00 H XVIII Carnival Mussel "Memorial Antonio Rubia" El Extranjero "in the Parque de la Represa (next to Calzados Millán). Free tasting of mussels for all attendees and performance of Carnival Groups. Municipal Delegation of Parties, reserves the right to suppress, modify or extend any of the events scheduled when the circumstances so require. You may have also heard "El Entierro de la Sardina", in English the burial of the sardine. This tradition finds its origin in the symbolism of the beginning of lent, when you are supposed to leave behind (bury) all the excesses and sins of the Carnival period. The big Shopping Malls always have costumes available. La cañada also has a costume shop on the top floor.Another option for costume hunting is the great Chinese Bazaar stores we have scattered throughout the Costa del Sol. 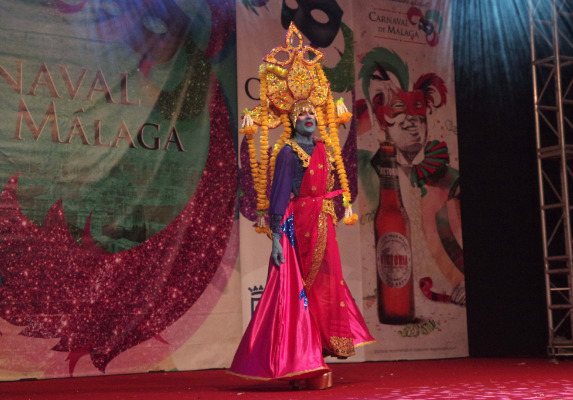 Malaga also have a great celebration around the same time as the Marbella Carnivals, these include magnificent parades, performances, competitions, drag queen shows and more. Post a Costa del Sol or Marbella Carnival Event Right Here! Do you know about a great upcoming Carnival Event that you'd like to share with families here? Post it here and it will be shared with the entire Marbella International Family Community! Post a Carnival Event in Marbella or the Costa del Sol Right Here! Post it here and it will be shared with the entire International Family Community! Enter the Title of the Carnival Event below. Your recommended Christmas Event will appear on a Web page exactly the way you enter it here. You can wrap a word in square brackets to make it appear bold. For example [my story] would show as my story on the Web page containing your story. Do you have some pictures a flyer or graphics to add? Great! Click the button and find the first one on your computer. Select it and click on the button to choose it. Click here to complete your submission. Check out all these great Carnival Events on the Costa del Sol! Is the Estepona Market open Easter Sunday?